Seven people were found dead at the scene and another three died in hospital, according to official news agency Xinhua. 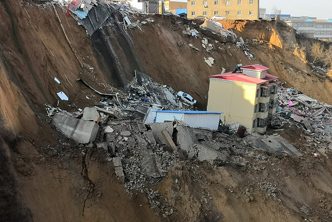 The landslide occurred Friday in northern Shanxi province, Xinhua said. More than 200 rescuers were at the scene of the disaster, according to state broadcaster CCTV, as the search for the missing continued. Footage from CCTV showed debris strewn in heaps along the mountainside. The landslide took down residential buildings and a public bathhouse.